Surf Coast Councillor Eve Fischer should be applauded for calling on the State Government to remove restrictive anti-wind farm planning laws. Victoria’s wind energy sector has been strangled recently, with a recent Friends of the Earth study estimating Victoria has missed out on 490 construction jobs, 64 ongoing jobs, $864 million in investment and $10.5 million worth of flow-on activity to regional economies think about the benefits of drought proofing for host farmers, community grants, council rates and indirect spending by construction workers. If you add the potential for wind power to lower the price of your electricity bill, we don’t even have to talk about climate change and it seems that there are good reasons why Australians rate wind second behind solar as their preferred power source. The Australian Medical Association gives wind power the tick of approval and 20 reviews by credible health bodies into wind turbine sickness conclude that wind energy is clean and safe. Political leaders should start the transition away from coal and start thinking seriously about the industries of the future. Could a similar trend be replicated in Victoria? 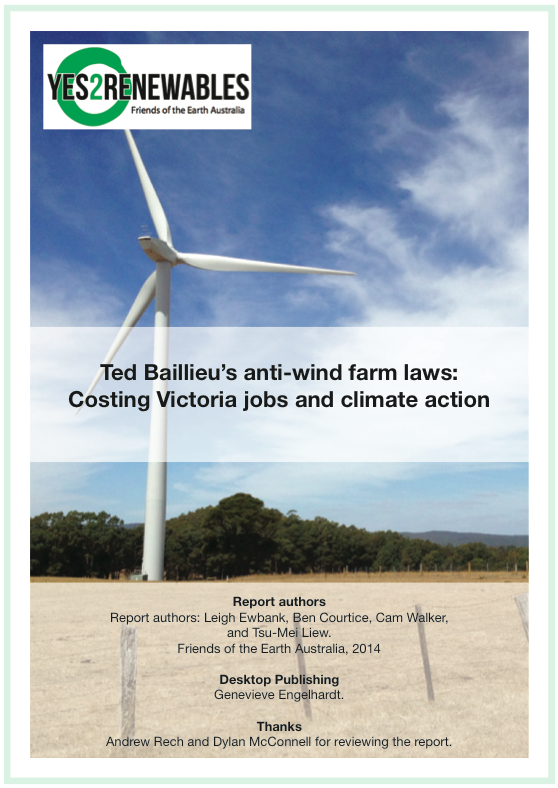 There would be a strong development pipeline in Victoria if the wind farms killed off by Baillieu’s planning laws (438MW) and those stalled by uncertainty from the Renewable Energy Target review (~400MW) could get underway. Premier Napthine still has time to dump Baillieu’s brown tape before the November election. After all, the Premier has benefitted more from wind energy than any other politician in Victoria (and perhaps even Australia). Follow the Surf Coast Energy Group on Facebook and Twitter. 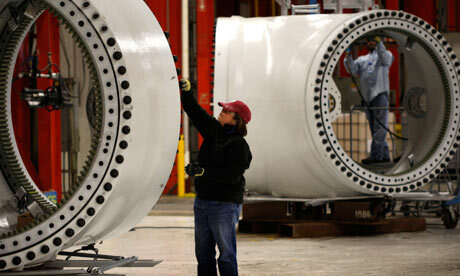 Next Next post: Is $15 a year really too much to pay for renewable energy?